Conventional Vs. Robotic Palletizing: Is Conventional Palletizing Dead? 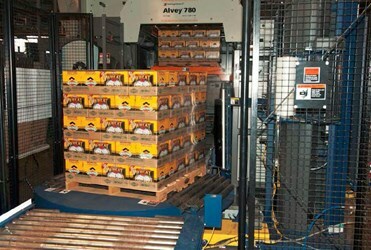 Conventional automatic palletizers have been available since the 1950’s. In the 1990’s, gantry and then jointed arm robots made significant inroads in palletizing, leading many to conclude that the conventional palletizer’s days were numbered. Rather than getting immersed in ambiguous statistics and marketing buzzwords like “flexible” or “fixed automation,” this paper will look at the specific applications that favor each technology to determine if the future of palletizing is exclusively robotic.